Gulf Craft and Australian Superyachts are looking forward the Sydney International Boat Show 2016, after the success from last year’s show which showcased the global reach and commitment to serving the evolving yachting needs of the Australian market. Sydney International Boat Show is the largest boat show in the Southern Hemisphere. 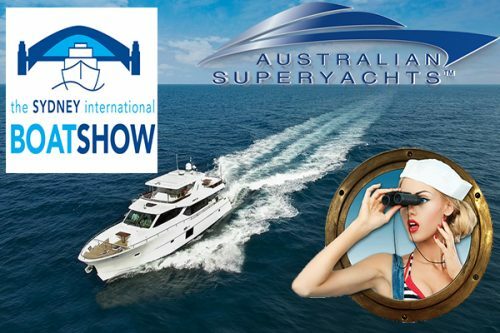 This year the show will be held from July 28th to August 1st, held in Cockle Bay Marina and Sydney Exhibition Centre at Glebe Island. For the first time – with the help of our partners, Gulf Craft – Australian Superyachts is proud to present the Nomad 65. She is a beautiful 66 ft motoryacht which is designed to be extremely seaworthy. While the outside may look bold and powerful, on the interior you will find soft and tasteful furnishings, including an olive wood veneer finish that gives it a super-modern and elegant look. “Over the last 20 years we have helped meet the diverse boating requirements in Australia through our wide range of craft, including our Silvercraft fishing boats and family cruisers, Oryx Sport Yachts and Cruisers, and our flagship brand Majesty Yachts. We believe yachting enthusiasts in Australia are avid boaters at heart who appreciate a well-built product and are looking for great underlying value, and this is exactly what we offer. Australian Superyachts is Gulf Craft’s exclusive dealer in Australia, offering a complete range of services to the Australian superyacht sector, including sales, superyacht management and operations, charter and central agency, crew recruitment and yacht agency internationally. As the leading superyacht company in Australia, we work diligently to make sure that Australian Superyachts is always exceeding expectations, in every area of the industry. We are committed to making sure each service that Australian Superyachts offers is only the best. Our experienced and professional team of industry experts will be available throughout the show to provide advice, make arrangements for yacht viewing and assist you with any enquires.